Our deep texture film offers a smoother finish and features a linen pattern for a high-quality look and feel. Easily insert custom label into binder spine. 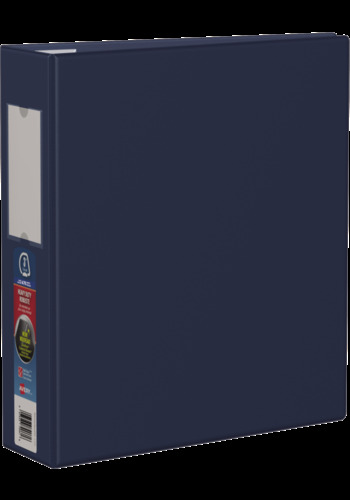 Four clear interior pockets offer extra storage for loose and unpunched papers, and wider front and back binder panels fully cover standard dividers and sheet protectors. The strong 3" One Touch™ rings hold up to 670 sheets of paper and can be opened and closed easily when you need to add or remove pages.